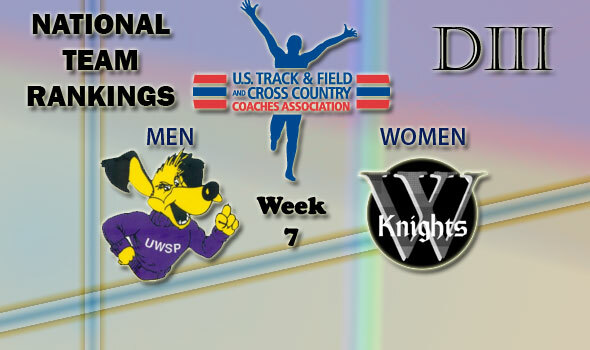 NEW ORLEANS – The U.S. Track & Field and Cross Country Coaches Association (USTFCCCA) announced on Thursday afternoon the latest indoor track & field national team rankings for NCAA Division III. The top three spot in the national men’s ranking remain unchanged as UW Stevens Point leads with 152.26, narrowly ahead of in-state rival, UW Oshkosh who claims 147.78 in the rankings. North Central (Ill.) has also joined the frey with a total of 139.38 ranking points. On the women’s side, Wartburg (144.86) retains the top spot as MIT (127.53) shifts to the No. 2 position after a good weekend.